Clips secure cables to tubular frame rails. 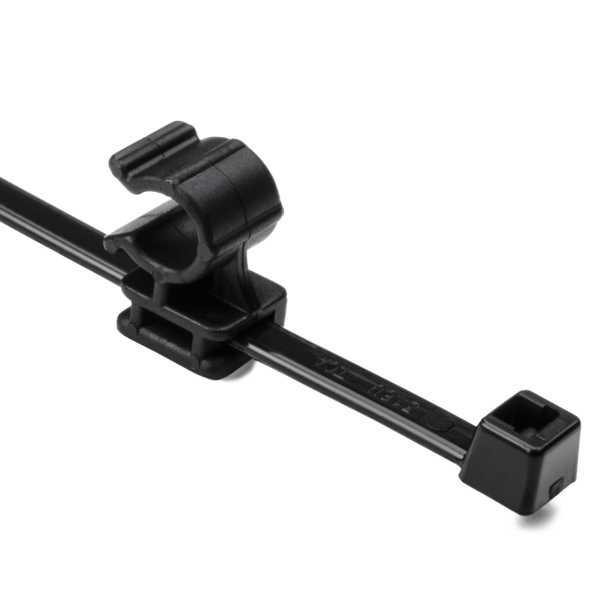 The UV stabilized cable tie is fastened to the tubular frame rail and the solar cable snaps into the clip. The cable can be removed from the clip and reinstalled without additional fasteners.